Old National Bank has more than 150 branches in Indiana, Illinois, Kentucky, Michigan, Minnesota, and Wisconsin and thousands of free ATMs nationwide. It offers business savings and checking accounts, lines and loans, financial planning, and more. It has an A+ rating from the Better Business Bureau and a mix of positive and negative reviews online. Ready to get started with Old National Bank business checking? Apply now. Old National Bank has more than 150 retail branches located in Indiana, Illinois, Kentucky, Michigan, Minnesota, and Wisconsin. It is also part of the Allpoint network, which provides its customers access to more than 55,000 surcharge-free ATMs nationwide. You may view its branch locator to check which locations are closest to you. 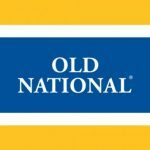 Old National Bank also offers the following business services: business savings accounts, lines of credit, wealth management, credit cards, term loans, and specialty financings, such as agriculture, capital markets, municipal, community development, and Small Business Administration funding. It currently does not offer business money market accounts. Find out more about its small business offerings on its website.